Making a killer video could be the best way to promote your killer app. This post is brought to you by MacPaw, maker of Setapp. As indie developers, we can get too caught up in how things work — what features our product has, what users can do with it. It often seems like if we can just explain how our product works, everyone will become a devoted user. We spend lots of time pulling together onboarding videos and tutorials. But there’s a whole other front in the battle of promotion and conversion: making an emotional connection between a potential user and your product and brand. For building this connection, the worst tools are the most automated, like banner ads or ad words. A well-done video can actually be one of the best. Because video might prove the most daunting format for many developers to master, I’ll attempt to demystify it with some tips, stats and a thorough use case. Now that we’re on board with the potential of video marketing, let’s talk about the nuts and bolts. Some of you may have gone to film school, or have friends that look dynamite in front of a camera. For the rest of us, the best option for actually concepting and creating a video campaign will be to work with an agency. I usually prefer the DIY approach for things, but with video, that easily can result in an expensive failure. The good and bad news is that there are a ton of digital agencies out there. The traditional route to find one would be to create a somewhat technical document called a Request For Proposal, or RFP. Then you launch your RFP through common distribution channels that video agencies cruise looking for new work. The problem with this is that it’s a lot of work. The responses you get can be dense and take a ton of time to sort through. Agency Spotter. Use this service to search for agencies based on a variety of criteria. Flat-fee discovery. When you find an agency you like, contact it and propose a discovery phase at a flat fee. Discovery is where the agency talks with you and learns about your business and marketing goals so its creatives have enough material to start with a content strategy. If you have the budget, you can do this simultaneously with multiple agencies to see which one you like best. Sketch dialog. Even if you’re skipping the RFP, it’s still helpful to write down some background about your business and the marketing problem as you see it. When you have something you’re happy with, send it to two or three agencies you’re interested in and see what they have to say about it. The way the following conversations shake out can help you determine who you’d rather work with. Work to hire. If you’re able to come up with a bite-size piece of marketing help that you need done, you can actually hire a few agencies to work on the problem and see how that goes before diving in with a full video campaign. Few things will let you know if an agency will work out faster than actually working with them. Social RFP. It never hurts to take to social channels with a quick post on Facebook or Twitter asking for pitches from agencies on your particular problem. One of my favorite agencies to work with I found from a response to one of my tweets. The case study we’ll be looking at for each of these steps is Setapp’s “Take the Shortcut” campaign. To find an agency, Setapp studied the best 100 cases of video advertising and reached out to the agencies behind each one. About half of them responded. From those, Setapp’s team members shortlisted 10 they liked. They then solicited proposals from each and picked the winner: SuperHeroes, an agency founded in Amsterdam in 2009, with a second office in New York. Who is currently using my product? Of those who aren’t using it, how many might if given a good reason? Of those who might, for how many is video the right platform for reaching them? The answer to that last question is generally where you want to start envisioning the target audience for your video campaign. Hopefully you’ve done some user research in the past and the answers to these questions aren’t completely unfamiliar. If you don’t have existing research, there’s no time like the present to dig in. Yaroslav Stepanenko at Setapp has a good post about his company’s successes with buyer personas and links to a good framework to use as a starting point for your video campaign. Your target audience will likely change over the course of the campaign as you learn more about how your videos are performing in different contexts. Be open to admitting you were wrong. Follow where your audience leads you. If you’ve ever done any Facebook ads, you’ll be familiar with the idea of creating many versions of a particular spot. Even agencies don’t have a crystal ball that lets them determine ahead of time which ads will be successful and which ones won’t. But they do know how to generate enough permutations to get the job done. In the Setapp case study, SuperHeroes created a wide variety of videos that centered around a simple, understandable theme. This has a wide variety of benefits. Cohesion. The theme creates a cumulative effect should a viewer be exposed to several across different platforms. Depth. Viewers who enjoy the premise can seek out and watch more from the same campaign. Flexibility. The variety of lengths allows the campaign to work across any ad type and for different kinds of audiences. Insights. Viewing metrics teach you a lot, not just about that particular video campaign, but the audience you targeted. You’ll see what they like and what they don’t. Then you can use that info to improve future campaigns, and perhaps even the product itself. Now that you’ve spent all this time and money on a fantastic video campaign, don’t just upload the videos to YouTube and walk away. You’ll want a rollout plan that targets your goals. For example, would any media outlet want to write about your videos? Would they want an exclusive first look? Setapp broke its video rollout into three phases — teasing, awareness and evaluation — with specific strategies and goals for each. You should think of your campaign as having a narrative arc, with each phase serving an explicit purpose. Most agencies will possess experience with these types of plans, so you can always rely on them if this part seems like too much of a challenge. Before you even begin reaching out to agencies, it’s helpful to define what you would consider a successful video campaign. That way, when the campaign is over you won’t be left wondering if it was worth it or not. For Setapp, the four key metrics were reach, beta access requests, Setapp trial registrations and Setapp paid subscriptions. Those numbers remain internal, but Setapp says its video campaign garnered 6 million views, 50 percent of which were organic. 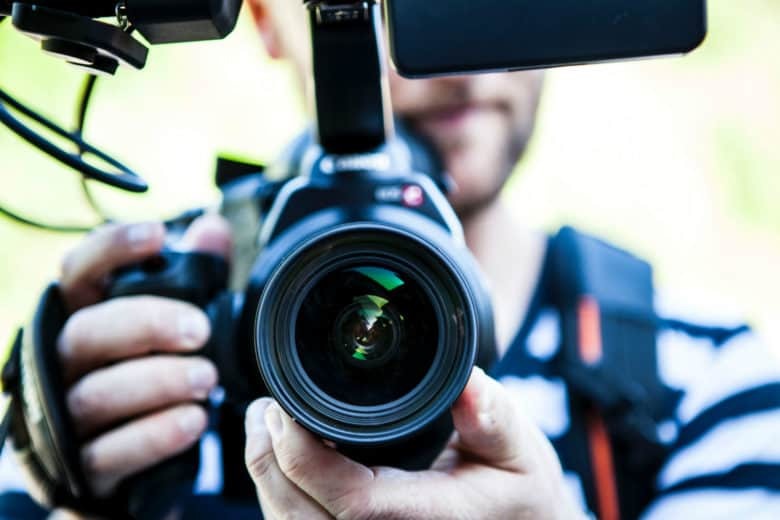 Now that you’ve seen the inner workings of a successful video campaign, hopefully you feel empowered to start your own. Even writing out a potential email to agencies and some quantified goals can help you evaluate if you’d like to pursue a video marketing campaign. For more detail and resources, go read the full post about Setapp’s campaign.